In Indian weddings and festivals, clothes hold a lot of importance. Indian clothes have gained worldwide popularity because of their style and unique use of colours. Nowadays, there are outfits for all kinds of occasions. Right from the wedding day to the cocktail party, every event has its own vibe and a dedicated attire. Women are extremely careful about what they wear and how they style a particular outfit but nowadays even men are quite careful about their overall look. Indian clothing has transformed to a great extent with Indo-western patterns. Even in wedding attire, there is an element of uniqueness. Women have a lot of variety in Indian wear like sarees, salwar kameez, lehenga choli, kurta pajama, etc. but men have fewer options like sherwani, kurta pajamas, dhoti kurta, Nehru Jackets, etc. As compared to women, men need more focus on styling. Heavily embellished sherwanis are widely preferred by grooms but one can opt for simpler versions too if the event is casual. One should always dress for the occasion because not every event requires you to go overboard. Choosing the right sherwani also plays a very important role and requires the consideration of a lot of factors. Here are some tips which will help you select the right men’s sherwani. Sherwanis these days are available in all colours and shades. Make sure you choose the colour of the sherwani properly. The colour should suit your personal style and the vibe of the event too. The time of the event also matters when it comes to selecting colours. For instance, dark colours are apt for evening events whereas light hues are perfect for day time occasions. Monotone sherwanis can also be opted if you are not a fan of contrast hues. Sherwanis are quite body-fit and unlike kurtas, they need to suit one’s physique too. Sherwanis these days come in many patterns but make sure it suits your body type. If you are on the heavier side don’t go for a tight fit. Sherwanis are known for their royal look and therefore, they have to fit well. All typical sherwanis are slightly below the knees and that influences their overall grandeur. 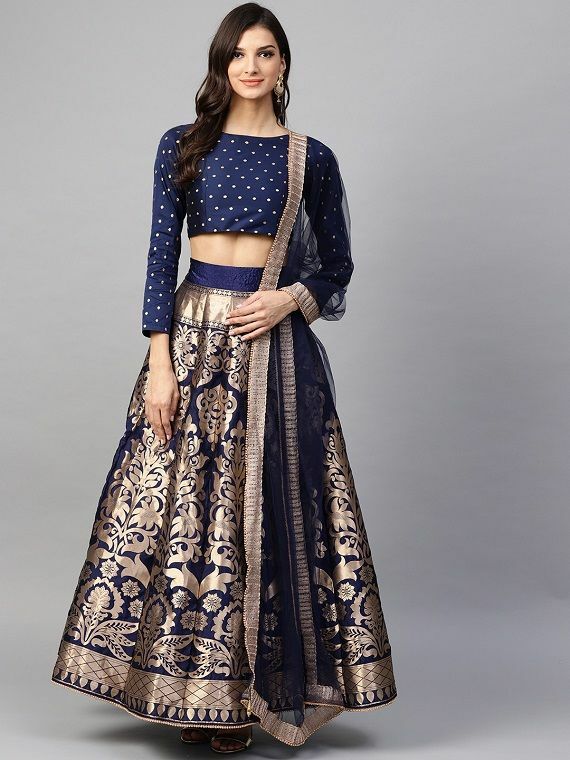 Sherwanis need to be of a proper length otherwise, the whole look can go for a toss. The length of the sleeves also matters a lot when buying a sherwani. Sherwanis are mostly worn for weddings and are available in several fabrics. See to it that the quality of the material is good and is easy to maintain and care for. Fabrics like velvet and brocade silk need quite a bit of care because they are delicate. When you buy Indian outfits make sure you are comfortable in the fabric. Outfits should be decided as per the occasion. If its a cocktail party then you can go for a lightly embellished sherwani! However, for a wedding reception, you can opt for a heavily embroidered sherwani too. Sherwanis are generally worn with churidars but you can also go for other bottom styles like pyjamas, straight-fit trouser pants, etc. Churidars look classy but in order to go for a different look, it is best to try a new bottom style. Just like the colour of the sherwani, even the bottom needs to be of proper colour. The two should blend with one another! In Indian clothing, sherwanis have a strong historical significance. Earlier, sherwanis were worn by the royals and steadily the trend also found a hold among the masses. Nowadays sherwanis can be worn for both casual and formal events, however, the styling for the two differs a lot. 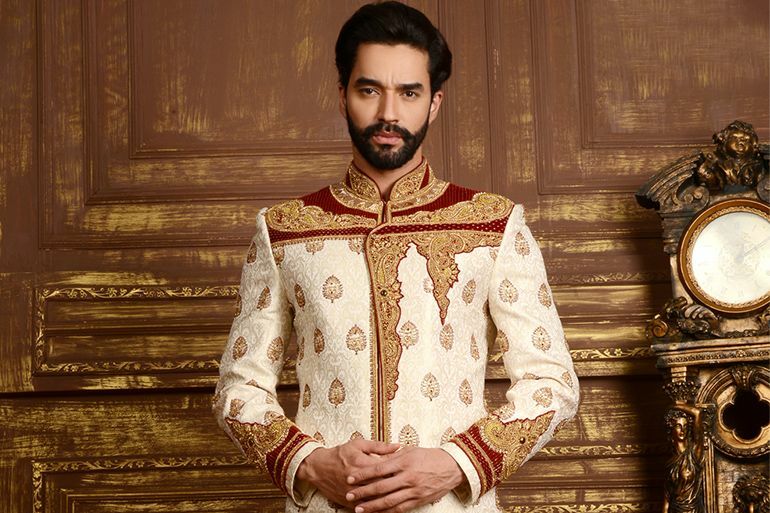 Check out some breathtaking men’s sherwani options you must try. Gone are the days when pink was only meant for the female clan. These days pink sherwanis are very much in trend. Opt for shades like rose pink, peach pink or blush pink for your sherwani. Pink shaded sherwanis look best for wedding receptions, cocktail parties, etc. 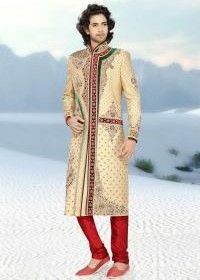 Add a dark coloured dupatta to this sherwani and you are good to go. Team up the light pink sherwani with a cream coloured churidar. Black coloured sherwanis are best worn for evening events. Avoid black during the day because it will be too harsh on the eyes especially with all the embellishments and embroideries. When wearing a black sherwani either go for a black bottom or opt for a bottom with a contrast colour. It is recommended that you carry a dupatta with a complete black look. The dupatta can be maroon, dark blue, gold, etc. depending on the look of the sherwani. Sherwanis of the velvet material look extremely sophisticated. 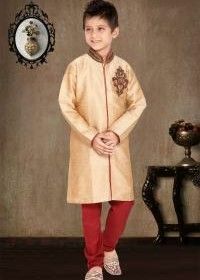 You can opt for a velvet sherwani for wedding occasions. This material is quite difficult to handle so make sure you are prepared to carry the outfit well. Velvet looks good in a few hues like maroon, dark red, midnight blue, etc. If you are opting for one of the stated colours then you can pair the sherwani with a black churidar too. Mint green sherwanis are ideal for summer weddings. Wear your mint green sherwani with a beige coloured churidar and you are good to go. Mint green is more of a pastel hue which is easy on the eyes. Even for events like cocktail parties, sangeet ceremonies, engagement parties, etc. mint green works well. You may avoid the dupatta in this look! 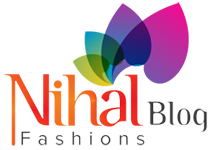 Nihal Fashions is one of the largest online shopping platforms for Indian outfits. 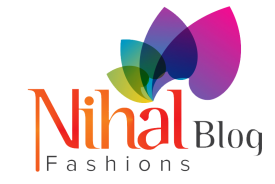 Nihal Fashions has a wide range of sarees, sherwanis, lehenga cholis, salwar kameez, kurta pajamas, etc. With amazing fabric quality and detailed works, shopping at Nihal Fashions is a bliss. Also, don’t miss out on their festive offers and discounts. 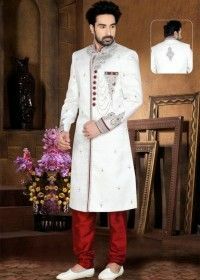 Next article Next post: Basic things to consider while buying men’s sherwani online!